Variety Works was created to provide individuals with disabilities access to choices in type, level, and experiences related to employment. 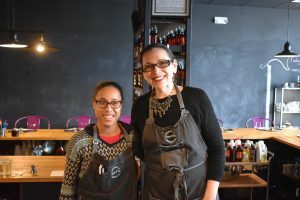 Choices – People with disabilities often don’t have the same choices for employment that their typically functioning peers do, for a variety of reasons. We overcome these reasons with a behavior-analytic based career assessment, a wide range of training program locations and community business partners, and a programmatic structure that allows for individuals to learn and develop skills at their own pace. Experience – In order to be successfully employed, people need to have exposure to a wide range of social and community experiences. Our program is designed to offer our participants an array of these experiences, to help them generalize skills and make educated decisions about their career pathways. 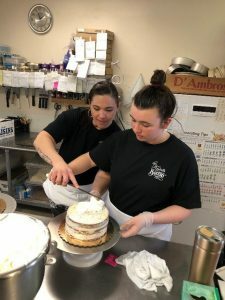 These experiences happen both on our campus in our greenhouse, commercial kitchen, office, landscaping and creative areas as well as in the community at many area businesses who are excited to provide work exposure experiences to our participants. Instruction – Most people, regardless of their ability level, don’t lose their jobs because they can’t do the work, but rather because something goes awry in the social arena at the job. Variety Works provides both formal instruction through a universally accessible curriculum of social skills as well as modeling, visual tools, and adaptations in both on-campus and community locations. Support – Variety Works intends to provide supports for the individual throughout their life. Intensive training and instruction will give our participants a solid skill base from which to start their careers, and our job-coaching and Community Business Partner programs will give them the help they need to be successful in community employment until they are independently working for no less than minimum wage. Should circumstances arise, Variety Works will be there to help negotiate job transitions, employer relations, and continued training to ensure everyone in the process is successful and productive. Community Based Work Assessment – Our assessment is designed to be universally accessible to people regardless of ability level. Our assessment identifies barriers to successful community employment such as behaviors, accessibility of social supports, health and s afety concerns, sensory considerations, preferences, social and job skills baselines. 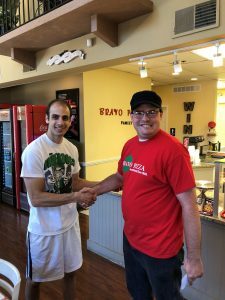 Our assessment utilizes at least two community businesses of the participant’s choice to define barriers and test accommodations. 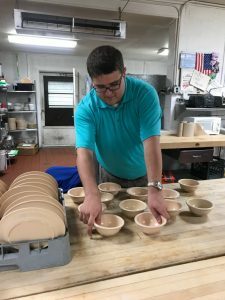 Farm-to-Table Model – The individual will work in the garden, office, kitchen, or production facility on Variety’s campus to create products which will be sold by the individual in the community. Half of the individual’s time will be spent on Variety’s campus and the other half will be spent in the community. 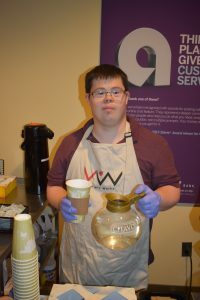 Variety Works Coffee Cart – The program provides individuals with a paid, part time job at the Variety Works Coffee Cart. There is an in-depth focus on job skills which include customer service, safe food handling, point of sale, maintenance, and hygiene while working in a 1:3 staffing ratio. Job Coaching – Once the individual is confident and ready, Variety Works will help the individual find a job. The job coach provides intent support while finding a job, interviewing, and training as the individual on the job until the individual is as independent as possible.